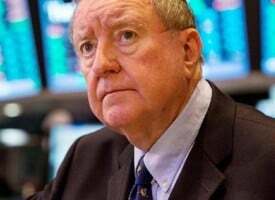 With continued uncertainty around the globe, today the man who has become legendary for his predictions on QE, historic moves in currencies, spoke with King World News about what is about to have a catastrophic impact on the financial system. Egon von Greyerz: “Inflation is coming and it will have a major effect on the world economy and financial markets. 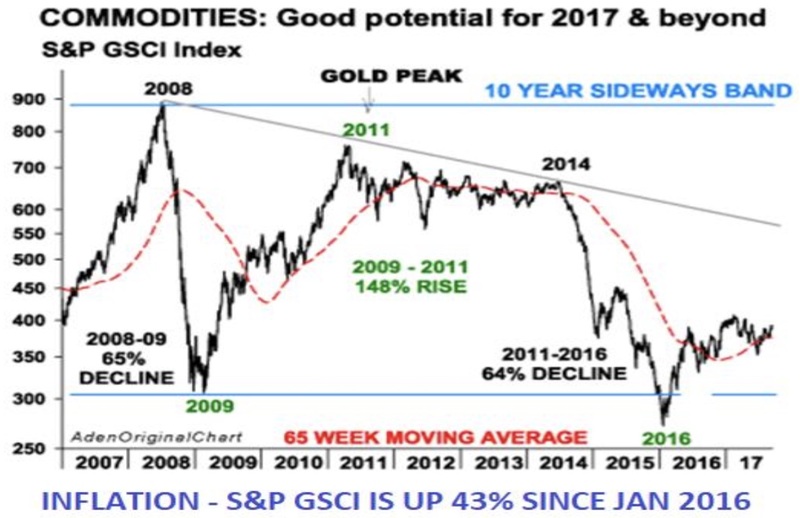 This is one of the factors that will drive gold to levels which few can imagine today. I am discussing 10 Reasons Why Gold Will Surge later in this piece. 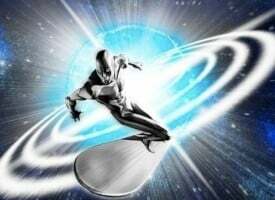 Egon von Greyerz continues: “So while we are waiting for markets to wake up from the dream state they are in now, what signals should we look for and what about timing? Interest rates are critical to a world with $250 trillion of debt, plus derivatives of $1.5 quadrillion, and global unfunded liabilities of 3/4 quadrillion. Minor increases in rates will have a catastrophic effect on global debt. Derivatives are also extremely interest rate sensitive. As they represent the biggest position, they are also the biggest risk. The very long interest rate cycle bottomed a year ago. Since dollar debt is the biggest, dollar rates are the most important to the world. The US 10-Year Treasury bond bottomed in July, 2016, at 1.3% and is now 2.3%. 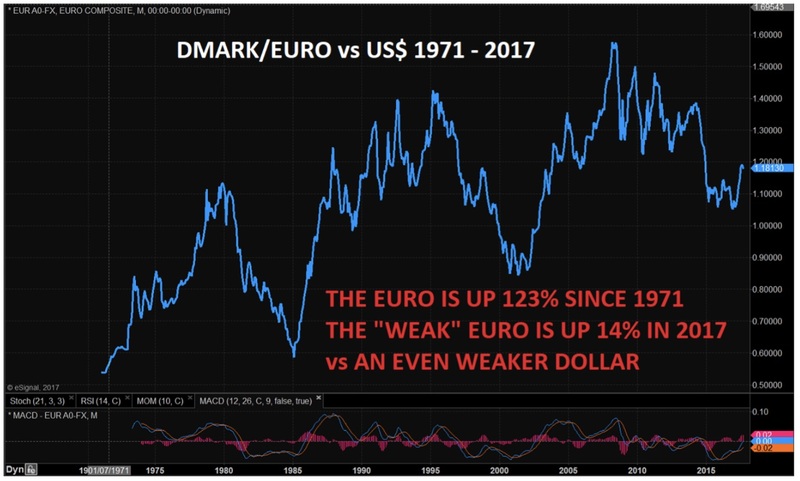 US rates have turned up from a 35-year cycle bottom and are likely to go considerably higher into the teens, just like in the 1970s. This could be a very slow process but we could also see a rapid rise. As the 10-year chart shows below, there was a rapid rate rise into December 2016. 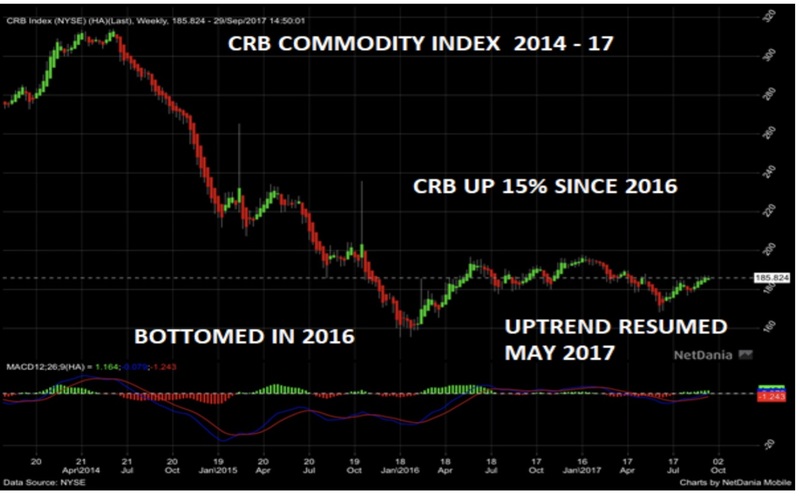 The 10-month correction finished in early Sep 2017 and a strong uptrend has now resumed. The long-term trend from 1994 shows the July 2016 bottom. The 23-year downtrend shown from 1994 actually goes back to 1987. 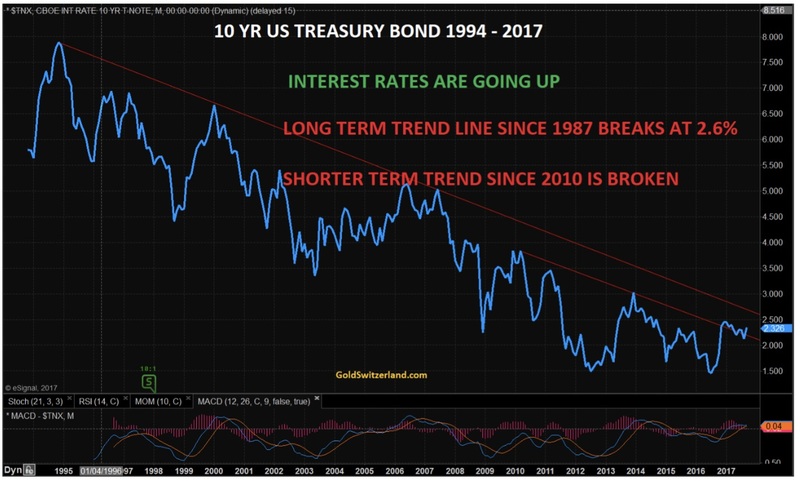 This 30-year trend will be broken when the rate goes above 2.6%. With the 10-year at 2.33% currently, we are not far from a break of this trend. In summary, interest rates bottomed in 2016, right on cue, as that was the end of the 35-year cycle. The trend is now up for a very long time. This is initially linked to a rise in inflation and will later on be fuelled by a collapse of bond markets and hyperinflation. Finally, we have oil as an important inflation indicator. Brent Oil bottomed at $27 in Jan 2016 and is now $55, a rise of 103%. The dollar has been in a strong downtrend since 1971 when Nixon ended the gold backing. This was a disastrous decision for the world’s financial system and for the US economy. 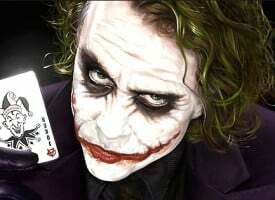 It has led to a total collapse of the dollar and a financial system based on debt only. The US economy as well as the world economy now rests on a bed of quicksand. The primary reason why the dollar has not totally disappeared yet is the Petrodollar system. This was a clever devise by Nixon’s team in 1974 to agree with Saudi Arabia to sell oil in dollars and to invest the proceeds in US treasury bonds and in the US economy. Saudi Arabia would also buy US weapons and receive protection by the US military. This is what has created a massive demand for dollars globally. But this will soon come to an end with China and Russia introducing an alternative to oil trading in dollars. This will eventually lead to the total demise of the dollar. Most stock markets in the world are at or near all-time highs. The significant exception is Japan, which peaked in 1989 at 39,000 and 18 years later is at half that level. Higher rates will initially make investors more bullish about a strengthening economy. And as bonds decline with higher rates, investors will switch from bonds to stocks. Eventually higher rates will kill the economy and stock markets. But not yet. So we may still see much higher stocks for some time and well into 2018. There will of course be corrections on the way there. Gold will follow inflation which will increase strongly. 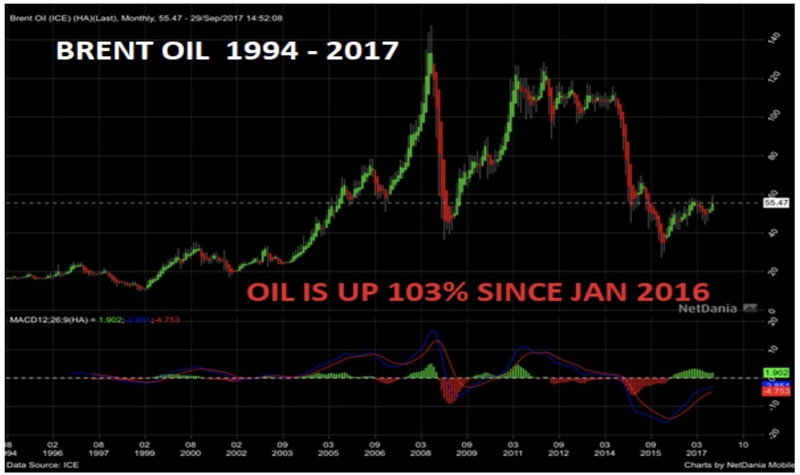 The death of the Petrodollar and the dollar. 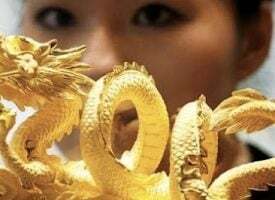 China’s accumulation of gold on a massive scale. China potentially introducing a gold for oil payment system. Western Central Bank’s empty gold vaults. CB’s have leased or covertly sold a major part of their gold. That gold is now in China and will never come back. Government and bullion bank manipulation of gold will fail. 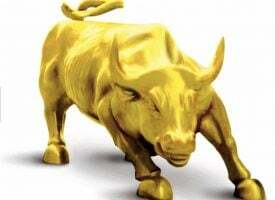 The paper gold market will collapse leading to gold going “no offer” which means gold can’t be bought at any price. 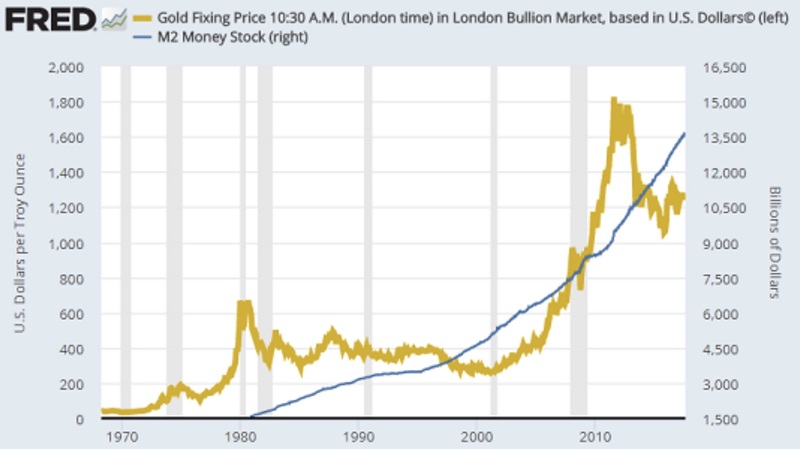 Inflation will increase institutional gold buying substantially. Gold today is 0.4% of global financial assets. 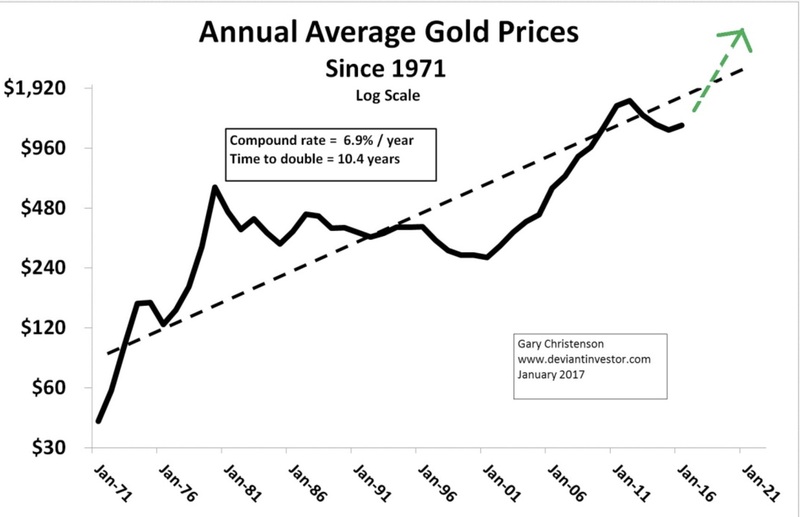 An increase to 1% – 1.5% would make the gold price go up manifold. The above 10 points are neither based on hope, nor fantasy. It is not a question if they will happen but only WHEN. In my view, these events will take place within the next 5 years and most probably it could all happen very quickly. So if you don’t own physical gold or silver, buy some now at these ridiculously low prices and store them safely outside the banking system. If you do own sufficient physical precious metals, just relax and enjoy life, knowing that you are well protected against coming catastrophes.” BONUS INTERVIEW: To listen to Rick Rule and I discuss one of our top stock picks, the gold and silver markets, and much more CLICK HERE OR ON THE IMAGE BELOW. ***ALSO JUST RELEASED: BREAKING: Multi-Billionaire Hugo Salinas Price Just Warned China’s Move To Gold May Ignite World War III CLICK HERE.